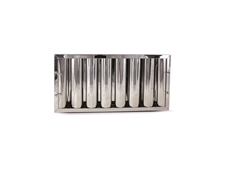 Die-Pat's range of stainless steel baffle grease filters are tested to DIN standard 18869-5 and comply with the DW172 standard. 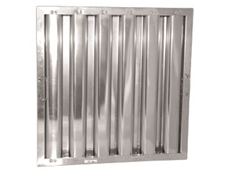 Baffle grease filters play a critical in the overall safety and effectiveness of a kitchen exhaust and extraction system. Selecting the proper number of the correct size filters is most important to ensure that the balance of the exhaust system will not be compromised and that all of the exhaust air passes through the filters before entering the ductwork.